Language Nest program touts early immersion for preschoolersAboriginal language teachers in the Yukon will soon have a new tool to teach kids First Nation languages. The Council of Yukon First Nations held workshops in Whitehorse this week, explaining the Language Nest program. The program has been successful in reviving languages in places like New Zealand and Australia, along with other parts of Canada. In the program, fluent speakers become involved in early childhood education, creating immersion-style learning for children ages one to four. By Scott WalkerThe hefty, 983-page book is important for the current generation, Laura Price told the crowd gathered Wednesday in the Port Gamble S’Klallam longhouse. Indeed, the new Klallam Dictionary—celebrated at the gathering of Klallam people from Elwha, Jamestown and Port Gamble—holds the future of the language. And it holds a lot of history. A three-decade effort to preserve a native language has resulted in the first-ever dictionary of the language, which previously was only spoken. By Lynda V. MapesIt weighs in at nearly six pounds, fills more than 1,000 pages, and represents the work of many hands and hearts. The Klallam people’s first dictionary for what was always an unwritten language was built syllable-by-syllable, from tapes and spoken words transcribed into a phonetic alphabet. The work was a race against time: About 100 people spoke Klallam as their first language when he first began learning Klallam in 1978, said Timothy Montler, a University of North Texas linguistics professor, and author of the dictionary. By the time the dictionary was published by the University of Washington Press last September, only two were left. One of them, Lower Elwha Klallam elder Adeline Smith, 94, was recently working with Montler during one of his twice-a-year visits to the tribe’s reservation, helping to transcribe Klallam stories into written words. Over many years she contributed 12,000 words to the dictionary, by Montler’s count. Some 38 elders in all helped him compile the entries. By Levi RickertThanks to the groundbreaking efforts of Native Innovation, Inc., an American Indian owned and veteran small business from Arizona, Apple users can now download the Navajo Keyboard app for their iPhones and iPads through iTunes. Fight to save tribal languages topic of summitCarlow and his group’s annual Lakota, Dakota, Nakota Language Summit brings together hundreds of tribal members and tribal educators from all over the U.S. to share best practices and techniques for improving language fluency. The summit is expected to draw as many as 800 people this year. This is the fifth year for the event. Participants include Sioux tribes from North Dakota, South Dakota, Minnesota, Nebraska, Montana and Canada, as well as tribes from other parts of the country. The effort expands beyond the Oglala Sioux. More than 20 tribes are represented, including the Standing Rock Sioux, the Winnebago, the Cree and the Dine Nation. “It’s not to push one way or one method or one orthography or one curriculum. (It’s) to bring everyone together to share so that we can all be exposed to what’s out there—what strategies, what methods, what resources, technologies are out there,” Carlow said. 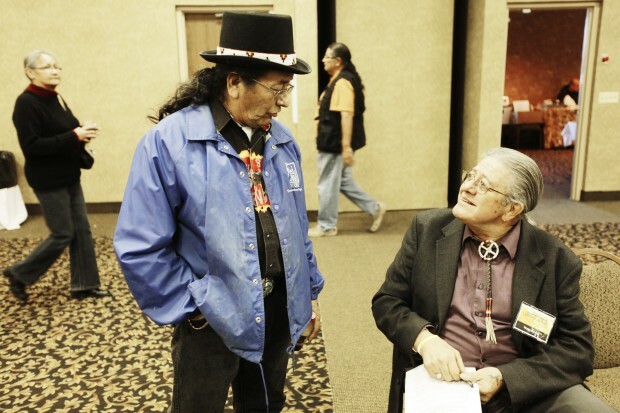 By Andrea J. CookA retired educator, Brewer, 65, addressed the fifth annual Lakota Language Summit, being held in Rapid City at Best Western Ramkota Hotel. Representatives of 23 Lakota-, Dakota- and Nakota-speaking tribes from 11 states and three Canadian provinces are at the summit. This is a turning point in history for the Seven Council Fires, Brewer said, referring to the seven major divisions of the Sioux Nation. One year ago, the state and national alliances to save Native languages declared the Lakota language in a state of emergency. An action plan was suggested to the Oglala Sioux Tribe, Brewer said. “The OST tribal council executive committee did absolutely nothing to address this growing emergency. They wasted an entire year,” Brewer said. The tribe has pushed off the urgency to preserve the language for a long time, Brewer said. It has been talked about and then ignored, he said. Lakota speakers looking to start immersion daycareTama I’atala doesn’t want his children to feel as disconnected from their Lakota heritage as he does from his Samoan culture. I’atala, who is part Lakota and lives on the Pine Ridge Indian Reservation, has a solution: Have his children, including his 17-month-old son, learn the language. “I don’t want my kids to grow up without that sense of pride of who they are,” said I’atala, 36. By Kristi EatonWhen Peter Hill's daughter was born two years ago, he made a conscious decision to only speak Lakota to her. Hill, who is fluent in Lakota after learning it as a second language, said he wanted Charlotte to learn the American Indian language from the start. "By virtue of that ... in terms of understanding, (she is) completely and equally fluent in both English and Lakota," the proud father and Lakota instructor said. Now the Pine Ridge S.D., man plans to start an immersion day care to get other infants speaking fluent Lakota early. His is part of a wave of projects targeting younger children in an effort to revitalize the language of Lakota, which is spoken primarily by Sioux Native Americans in North and South Dakota. By Sam LaskarisExperts often caution against exposing children to too much television. But they could be forgiven for making an exception in one case. Tiga Talk!, the only preschool television series in Canada focused on aboriginal-language, is coming to town. For those who are too young to go to school yet, a popular educational series with an aboriginal focus is returning for another season. The fourth season of the series, which includes 11 half-hour episodes, will be shown nationally on the Aboriginal Peoples Television Network (APTN). A version with Cree subtitles, to be shown on Friday mornings, began on September 7. And the English version, airing on Saturday mornings, first broadcast on September 8. The series targets children aged 3–5. The show is about a stuffed toy, Tiga, a wolf cub. Tiga lives with two young children, Jason and Jodie, as well as their father and Kokum (grandmother). When the adults leave the room, Tiga comes to life as a talking puppet. Tiga’s friends, Gertie the Gopher and Gavin the Goose, also join the conversations. Besides talking puppets, each episode features some music and the opportunity to learn some new aboriginal words. American Web Loan to Host Otoe-Missouria Language and Culture Day Annual Employee EventAmerican Web Loan, a leading nationally-respected online tribal financial services company wholly owned by the Otoe-Missouria Tribe of Indians and its members, will host its third annual Otoe-Missouria Language and Culture Day on Friday September 28. Inaugurated in 2010 with the founding of the company, the annual event is designed to share the language and culture of the Otoe-Missouria Tribe to American Web Loan's more than 100 non-Native American employees based in the company's headquarters located near Oklahoma City. A linguist specializing in the Otoe dialect and tribal officials lead the event, which introduces the employee attendees to the Otoe language and rich heritage. In addition to providing the day-long series of seminars to its management and staff, the annual Otoe-Missouria Language and Culture Day event is also open to the community. "We look forward to our third annual Otoe-Missouria Language and Culture Day, an event that helps to further unite our tribal and non-Native American management and staff as well as members of the community who join with us for what has become a day of celebration and friendship," said Jamie Schumann, General Manager of American Web Loan. Revitalizing the Lakota language through danceWith the Lakota-speaking population rapidly aging and decreasing, the Rosebud Sioux Tribe in South Dakota is trying to encourage young children to take an interest in a language that is, in many ways, secondary to English. The tribe's Child Care Service's Song and Dance Project aims to teach families how to make colorful, detailed dancing regalia and teaches the intricate dances to the children so they can perform in the annual wacipi, or powwow. The hope is that the song and dance will help re-energize both parents' and children's excitement about their culture. It also encourages parents to take an active role in their kids' lives. "It's putting identity and pride back into the people," said Gale Spotted Tail, director of the Child Care Services. New app for equipment teaches kids Dakota languageThe Marty Indian School on the Yankton Indian Reservation in South Dakota has released a new language app designed to teach children the Dakota language. The app is called Dakota One. It includes more than 700 sound files and images in 25 categories including animals, numbers and clothing. A news release from the school says the app is available to download for the iPad, iPod Touch and iPhone for $9.99 from the iTunes store. The Dakota language is spoken by the Dakota people of the Sioux tribes. It is closely related to the Lakota language. About 600 students representing more than 20 tribes shared their language and creative arts skills during the Oklahoma Native American Youth Language Fair in Norman. By Ashley WestYoung American Indians representing more than 20 tribes gathered at the Sam Noble Museum of Natural History this week for the 10th annual Oklahoma Native American Youth Language Fair. American Indian communities place a high value on culture, oratory skills and creativity through expression, and the fair provides a venue for young people to share the knowledge of their ancestors and speak their native languages publicly. During the fair Monday and Tuesday, participants submitted their works and displayed their talents before a panel of judges. About 600 performers came this year. The fair also provides students with peer support and new ideas for language learning, organizers said. Kodiak village is starting to digitize video and audio recordings of elders. By James BrooksThe Native village of Afognak is beginning a long-term project to digitize hundreds of hours of video and audio conversations with Alutiiq elders, converting them into a format accessible to modern researchers. Locked within the recordings may be Alutiiq language words lost to current speakers. "We want to identify those lost words and bring them back," said Melissa Borton, tribal administrator of the village. 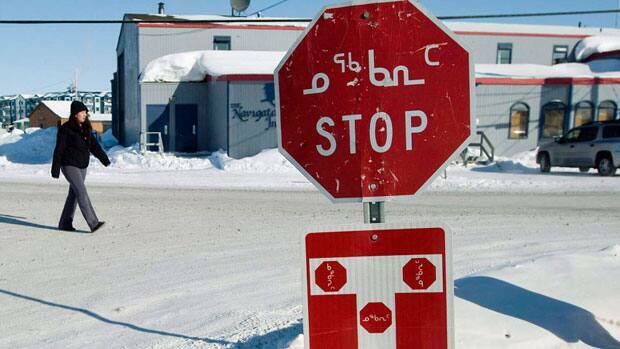 In 2003, a survey found only 45 fluent or semi-fluent Alutiiq speakers on the island. Intensive efforts to revive the language of Kodiak's Native inhabitants have taken place since, but it's not simply a matter of maintenance. 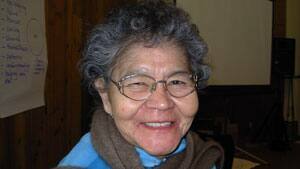 In 2007, April Counceller started the Kodiak Alutiiq New Words Council. Each month, Counceller and a group of elders meet to discuss ideas for Alutiiq words to translate modern items or concepts. In 2010, for example, the group translated "hovercraft" as tengauruasqaq, literally "kind of flier." Immersion students share with pen pals in CherokeeThe Cherokee Nation recently started a new pen pal program with the Eastern Band of Cherokee Indians in North Carolina to encourage and promote stronger cultural interactions in the Cherokee language. Immersion students in kindergarten, first grade and second grade from both tribes have been exchanging activities, cards and cultural items, all written in Cherokee. Recently, Cherokee Nation’s second-grade immersion students received a package from their pen pals containing materials they collected in the forest. Each student bagged up items including sticks, moss, lichens and rocks and labeled the bags with their Cherokee name. The Cherokee Nation Immersion School, Tsalagi Tsunadeloquasdi, began in 2001 as a language preservation program, which aims to educate children in a cultural environment while revitalizing and promoting the use of the Cherokee language. Students in preschool through sixth grade are immersed into an environment where Cherokee is the only language spoken. By Yudhijit BhattacharjeeSPEAKING two languages rather than just one has obvious practical benefits in an increasingly globalized world. But in recent years, scientists have begun to show that the advantages of bilingualism are even more fundamental than being able to converse with a wider range of people. 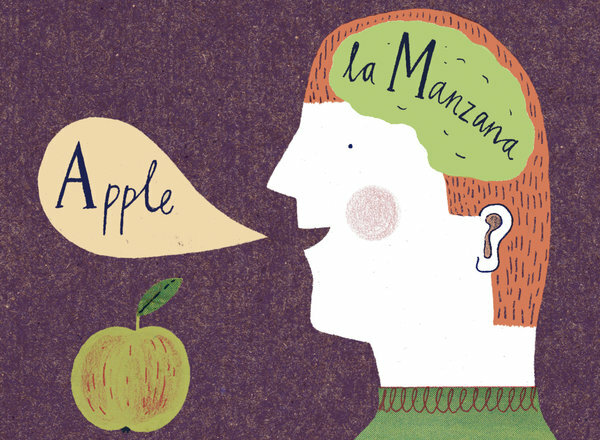 Being bilingual, it turns out, makes you smarter. It can have a profound effect on your brain, improving cognitive skills not related to language and even shielding against dementia in old age. Bilinguals, for instance, seem to be more adept than monolinguals at solving certain kinds of mental puzzles. In a 2004 study by the psychologists Ellen Bialystok and Michelle Martin-Rhee, bilingual and monolingual preschoolers were asked to sort blue circles and red squares presented on a computer screen into two digital bins—one marked with a blue square and the other marked with a red circle. By Mila KoumpilovaGerri Howard was loath to let a digital recorder capture her voice for a new kind of dictionary. A fluent speaker of Ojibwe on Minnesota's Leech Lake Reservation, she didn't like how she sounded on playback. But the sense of urgency she and other Ojibwe speakers share about their endangered tongue prevailed. With help from elders such as Howard, a University of Minnesota professor and students have created the first online talking dictionary of Ojibwe. The effort involved crisscrossing Minnesota and Wisconsin to record the voices of the dictionary and brainstorm entries for new-fangled concepts such as "Internet" and "school dance. "And:In tandem with the Minnesota Historical Society, the university lined up a roughly $375,000 Clean Water, Land and Legacy Amendment grant for the project. Going digital opened up many possibilities: Users can search definitions using both Ojibwe and English. The authors were eventually able to include 30,000 entries, compared to 7,000 in Nichols' "A Concise Dictionary of Minnesota Ojibwe." Most importantly, Childs said, "You click on a word, and you hear Ojibwe people actually speaking the language." The dictionary also is a virtual museum of sorts, with photos, drawings and texts from the Historical Society collection complementing the entries. But the new format was also an adjustment. Toddlers Can Learn Lakota With New AppLakota Toddler, a new free app available in the iTunes store, is an easy to use, fun way for toddlers to learn Lakota words. The app has two options on the menu screen —learn and play. The learn option gives users a colorful flashcard with a picture of an object or number, the Lakota word and the English translation. When the screen is tapped, the word is spoken by Dollie Red Elk, reported the Rapid City Journal. Currently the app has three categories—numbers, food and body—and it says new lessons are coming soon. App creators Isreal Shortman, Navajo, and Rusty Calder, owners of tinkR’ labs, are excited about expanding their latest app and creating new ones. Their first app, Navajo Toddler, came out last year and started with the same three categories. It now includes animals, colors and phrases. By Tetona DunlapWhen Teran started the phonetic and audio dictionary project 10 years ago, she said she felt a sense of urgency because there were only a few Shoshone elders who were fluent speakers. 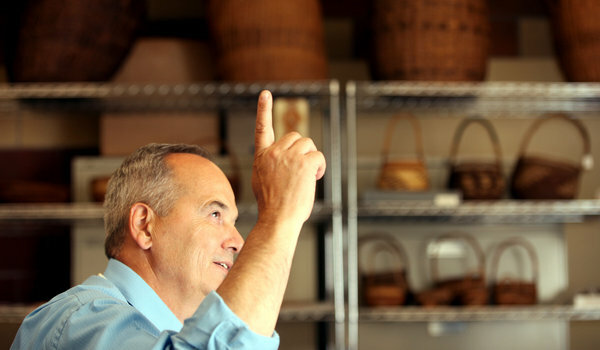 Today, Teran estimates that number is even smaller as elders pass away. And for her, that sense of urgency has amplified. In January 2012, Guina passed away, decreasing the number of fluent speakers even more. In the meantime, she is working to revitalize the language through books rather than audio recordings. In Oct. 2011, Teran received a grant from the Wyoming Historical Society to write a children’s book called “Elka,” which is a family story about a baby elk Teran’s brothers caught and raised. The book will contain Shoshone words that are translated into English and listed in a glossary. She also received a donation from a family foundation in California of $400 to buy software that will allow her to create a font for the Shoshone language since writing words phonetically can be very long. And though it may seem that Teran’s idea of capturing the language digitally has stopped for now; the conversation started by Teran and others is being picked up once again — this time with the use of technology such as iPads and computer software. Native Language App Gets Cool ReceptionA new American Indian language app hit the iTunes store January 20. The app features translations of animals from English to four languages—Diné (Navajo), Lakota (Sioux), Mvskoke (Muscogee Creek) and Ponca. Tribal elders to teach languages? By Joe HanelIndian tribal elders would be able to work in public schools as teachers of their native languages, under a bill that advanced Wednesday at the state Capitol. Senate Bill 57 authorizes schools to hire people fluent in native languages, even though they might not have a teaching license. “The tribes have such a great opportunity to get the tribal elders involved in the program,” said Ernest House Jr., secretary of the Colorado Commission of Indian Affairs and a member of the Ute Mountain Ute Tribe. Although Southwest Colorado has the state’s only two Indian reservations, the bill is modeled on a program in Denver Public Schools. Denver has the state’s highest Indian population, including an especially large group of Lakota people. By Tesina JacksonStriving to learn outside of the classroom, Northeastern State University Cherokee language students created a Cherokee Language Happy Hour on Jan. 28 by translating Boomerang Café’s menu from English to Cherokee and interacting with the public. At the Boomerang Café, NSU students changed the menus from English to Cherokee so waitresses and customers spoke Cherokee when dealing with food orders. By Tesina JacksonThrough a partnership with Cherokee Media Ltd., the Cherokee Nation Foundation plans to create a reading center featuring audio books in the Cherokee language. The books were written by Ray D. Ketter and Wynema Smith and illustrated by America Meredith. Cherokee sisters America and Samonia Meredith of Noksi Press donated the first audio books. Audio recordings were produced by Andrew Sikora, director at Cherokee Media and feature the voice of Wynema Smith. The book titles are “The Three Bears,” “The Little Red Hen” and “Origins of Oak Leafs.”Below: "Cherokee elder Wynema Smith reads to students at the Cherokee Language Immersion School in Tahlequah, Okla."
One of the challenges lies in number of dialectsInuit women are meeting in Happy Valley-Goose Bay, N.L., this week to develop Inuktitut words for sexual health. Right now, there are no standard Inuktitut words for diseases such as HIV-Aids, or for infections such as Chlamydia and gonorrhea. By Carol BerryGoodbye, French and German. Hello, Dine, Lakota and other Native American languages—with some qualifications. Under a proposed new program in Colorado, European and Asian tongues would remain options for foreign language credit in high school, but Native languages from federally recognized tribes could also be offered for that purpose. The plan is described in a bill filed January 13 for submission to the Colorado General Assembly by Sen. Suzanne Williams (D-Aurora), a member of the Comanche Nation, and co-sponsor Rep. J. Paul Brown (R-Ignacio). Space is carved out in the proposal for teachers to obtain authorization for Native American language teaching without being required to complete a teacher preparation program or to have a baccalaureate degree, Williams said. The Colorado Board of Education would establish criteria for the authorization. One Man Aims to Translate the Web Into Every Major LanguageHow is one man going to get 100 million people to translate the web into every major language for free? According to his January 8 post on CNN.com he is giving them something in return. Luis von Ahn, the founder and former CEO of ReCAPTCHA, Inc., and an associate professor of computer science at Carnegie Mellon University, recently introduced the world to his newest project—Duolingo, where web users can “learn a language for free, and simultaneously translate the Web.”And:Von Ahn took this another step when he asked one of his graduate students how he could get 100 million people translating the web for free. Because more than five million of us have spent more than $500 for language learning software, we want to learn. This is where Duolingo comes in. Users are “learning by doing,” von Ahn says in the video. The site gives beginners simple sentences in whatever language they want to learn, and as the user translates them they learn what the words mean and are subsequently given more advanced phrases to translate.